Pay monthly Catalogue and Catalogue Card. 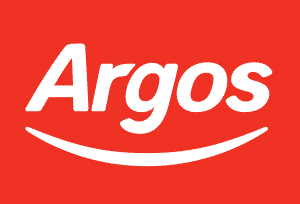 Argos Catalogue offers Buy Now Pay Later Credit and Pay monthly catalogue options. All with same day delivery, ideal for Birthdays and Last minute gift ideas. The catalogue is packed with Awesome goods, gifts and electrical products. Are you looking for a pay monthly catalogue with same day delivery? Would a handy Catalogue store card give be useful? We absolutely love and adore our Argos Credit Catalogue. It comes with a handy Catalogue card which allows you to buy online or in-store at any Argos shop. You can also spread the cost with Argos using the buy now pay later option. Same day delivery is available in most areas on a wide range of products. To apply for an Argos card, click the apply button above, select the items you want and choose Apply for an Argos card at the checkout. They even offer a Soft search (meaning if you are unlikely to be approved) you won’t waste a credit search. If your application is successful, you will receive an Argos Card and can spread the cost of your repayments just like a Catalogue account. The application can be approved online and the items delivered to your door! Once your card has been approved, you can use it online or in-store. Easy Application, Credit Limits Vary. 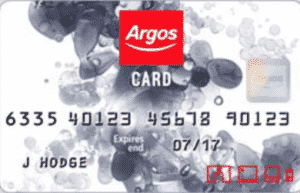 Argos card offers you the chance to spread the cost with easy affordable monthly repayments or pay no interest and spread the cost with Buy Now Pay Later. Each month you will receive a Statement which will show your Credit limit and available credit, you can make your repayments online using a debit or credit card. We have held an Argos Pay monthly Store card for around 14 months at time of review and I must say it has many benefits. We love the fact we get money off vouchers and that we can spread the cost using buy now pay later as we need. The members area is pretty straight forward (although it’s not mobile friendly) at the time of this review.